The article discusses the use of the term "window dressing," a wide range of techniques for auditing, by audit clients to enhance the financial position of an entity through manipulated disclosures. 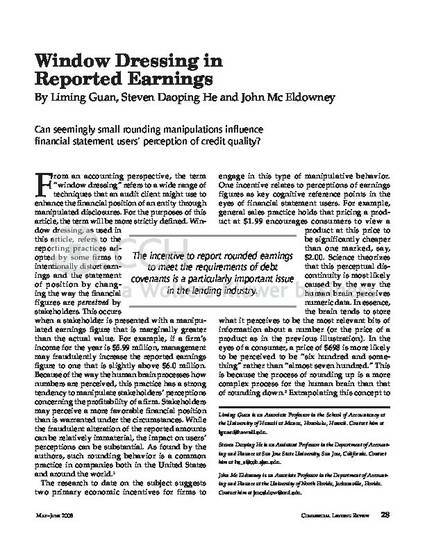 The term refers to the reporting practices adopted by firms to distort earnings by changing the way stakeholders perceived the financial figures. A research suggests that firms must engage in the type of manipulative behavior for the purpose of economic incentives. Copyright © 2008 CCH/Wolters Kluer.